Is your way of talking to your loved ones (mate, children, siblings, etc.) more pro-love or more anti-love? Have you ever examined your habits of speech and speech style for their effect on your loved ones? Do you know the three big factors determining pro-love and anti-love talking effects? Below you will find 25 examples of words and phrases which tend to have an anti-love effect. Following each of these is an example of a pro-love effective way to state a similar thing. Check your speech habits against these to determine if perhaps you are using love destroyer words and phrases and might need to practice a more pro-love style to have a love building effect through words and phrases. I want you to ………………, maybe by tomorrow if that’s OK? 7. You’re lying. That’s absolutely not the way it happened. 8. How could you have been so stupid! In the future I really want you to do that better. 9. Don’t ever let me catch you doing that again! How can I help you not to do that again? Right now I’m really mad at you. Part of me would really like to call you a lot of names right now. 13. I can’t stand you! I’m having trouble dealing with you right now, so let’s take a break. 14. Why did you do such an awful thing? Let’s look at what we can do to improve that. 15. I can’t love you when you act that way. I always love you, and what you’re doing really upsets me. 17. Never say that again! I don’t want to censor you so can we talk about that later and nicer? 18. I’ve asked you time and again, so when are you going do what I say! Honey, so that you’re clear, this is not a request, it’s something I have to insist on. 19. You crazy freak! Don’t you know any better than that! In some ways we are really different. 20. Can’t you ever get it right! Sweetheart, we don’t seem to be making progress in this area. 21. That’s all your fault! Honey, how can we learn to go about that differently? 22. I blame you for that, and you know you deserve it! The critical part of me really wants to lay a guilt trip on you for that. 23. No, not ever, and that’s final! Sweetheart, right now I am firmly against that so please bear with me and be tolerant. So far we haven’t and I really want us to, so this time how can we get to it? 25. If you really loved me you’d know what I need and you would have done it already! and tell you more exactly what I want. Did you know that 35 to 37% of what you are communicating in a personal interaction is delivered by your voice tones? Have you given much thought to what your voice sounds are telling your loved ones when you talk to them? Below are 10 words describing voice tones which frequently tend to have an anti-love effect and 10 words describing voice sounds that might have a more love positive effect. Did you know that in person-to-person talk it is not unusual for as much as 55% of the value of what is being communicated to be carried by face and body language factors? Did you know that in a person-to-person talk your subconscious mind may be interpreting as much as 300 bits of information per minute having to do with face and body language communication? Have you given much thought to what you’re face and body language messages are to your loved ones? Here are 10 words that can be used to describe face and body language expressions which can have an anti-love effect. Under each of these words is another word for a face and body language expression which might have a more pro-love effect. Now we suggest you examine what your own, more frequent face and body communications are when you are talking with your loved ones. Then examine your voice tone communications and see how you might improve them. After that take a look at the words you are commonly using and see if you want to make some changes so that you can have a greater love-positive effect. You also might want to lovingly ask a loved one to follow your example and do the same. 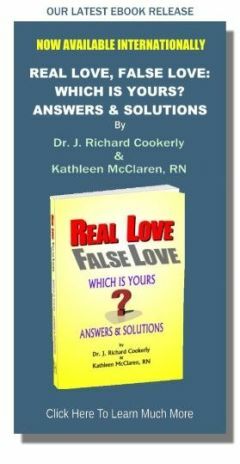 ♥ Love Success Question Will you ask one, two or three people who know you pretty well what is the best and the worst or how you come across in regard to the above 3 Factors? Image credits: “[last remnants of autumn]” image by Flickr user lempel_ziv (Tanya Zagumenov) .